In response to a characteristically odious Twitter campaign by anti-Israel activists using the hashtag #Israelkills, a very successful counter pro-Israel campaign was launched with the hashtag #IsraelLoves. So, I began thinking that we often need to stop playing defense to the vicious and, often, morally unserious charges of anti-Zionists. Tell us why you love Israel. Below is a great video of pro-Israel (#IsraelLoves) Tweets to set the tone. And, while you can certainly Tweet your response to us (@cifwatch) using the hashtag #WhyILoveIsrael if you’d like, if you don’t want to be constrained by the character limits imposed by Twitter, please use as much space as required to express what Israel means to you in our comment section. The commentary chosen by our esteemed group of judges (CiF Watch volunteers) to be the most eloquent and inspiring will be published at this blog as a stand alone post – using your own name or, if you choose, under a pseudonym. The courage and the steadfastness of the people in the face of what others would find more than overwhelming. Awesome! and thanks for including me in it! It was March 2006, my first time in Israel. Shabbat had just arrived and, with a gentle breeze at my back, I tentatively approached the Western Wall. I had recently taken the first steps toward observance, and though I was anticipating a journey filled with joy and meaning, my life till then hadn’t prepared me for the emotion that took hold of me at that moment. I attempted to pray on that mild March evening not to open my heart to the arrival of Shabbat, but to avoid having to take that final step toward the wall, which would require me to wed myself with the struggles and aspirations of the Jewish people. My mind was racing. The wall was much larger than I had imagined. I looked away, and saw intense davening (prayer) everywhere. I wanted to join in, but the words wouldn’t come. My decision to make Aliyah was forged that day — one which only came into fruition three years later when I boarded an El Al plane for Tel Aviv with a one-way ticket — but the seeds of that epiphany and, indeed, my initial identification with Zionism, was a reaction to a “progressive” world increasingly hostile to the Jewish right to self-determination. The bright-eyed, idealistic and progressive man I was in college and early adulthood was confronted with a stunning cognitive dissonance — that many of my political allies, those committed to freedom, equality and the inalienable rights of minorities, were turning away from their traditional identification with Israel – the state of the Jewish people. That these Western values were, in fact, part of the Zionist vision since the days of Herzl, and were embodied and upheld in the modern Jewish state, mattered less, in many circles, than the new narrative being forged on college campuses, and among the intellectual elite, which saw Israel through the distorted lens of colonialism and imperialism. That the boundaries of the modern Jewish state were not drawn, as they have been with most nation states, by the edge of a sword, but codified by international law, didn’t matter to Israel’s opponents. That Israel was a democracy with progressive policies towards women, gays and religious minorities similarly didn’t seem relevant. What seemed to matter most for many was advancing a narrative of immutable Israeli oppression, a caricature of a grotesque and manipulative Goliath that delights in inflicted pain and suffering — a defamation hauntingly similar to the historical caricature of the callous, conspiring villain we know all too well — Israel as the Jew writ large. The 19th-century German social democrat, August Bebel, accurately characterized anti-Semitism the “socialism of fools,” and this clumsy rhetorically careless anti-Zionism was and is nothing less than the anti-imperialism of fools. My decision to wage war against these calumnies evolved slowly, but during my long rumination a clearer sense of purpose took shape. As my late father enlisted in the U.S. Army at the start of World War II, possessing no doubt that that war (against fascism) was his war, I, too, knew that this war — against Hamas, Hezbollah, Iran, the totalitarianism of our age, their political fellow travelers and intellectual enablers — was my war. I set out to defend Israel, but also to join the 4,000-year journey of the Jewish people, to be an actor in Jewish history and not merely a spectator. I took a deep breath and closed my eyes. I took the final step and gradually lifted my arm. I moved my hand forward and touched the wall. With a gentle breeze at my back, I opened my eyes. And I prayed. 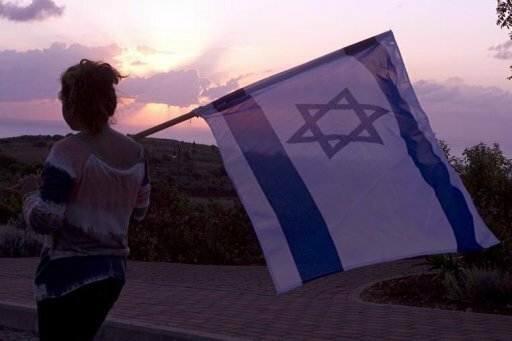 For a myriad of reasons,but lets just settle for Improudtbnisraeli……..Always. I love Israel because you feel secure more than many places of the world even though it’s a war zone. I love it cause of the laugh and spirit. Even though it’s a cowboys land, thieving, rude and a dog eat dog, you’ll find the exact opposite in time of need. Because it thrives against all odds. Because it is imperfect, but more perfect than most. Israel’s got probably the most beautiful women in the world. I love Israel because even though I grew up and lived my life elsewhere, whenever I come back to Israel, I feel at home. I love Israel because I am among people with whom I feel an automatic empathy, who even though they may be Anglos, Sepharadim or Mizrachim, we are of a mind. I love Israel because other Jews understand where I am coming from and can relate to my inbuilt caution/paranoia, just because I am a Jew. I love Israel, because even though I have no family there right now, I have Am Yisroel who in extremis, will always be my family. I love Israel because it’s THE beacon of democracy and freedom (despite what the haters say) in the darkness of the Middle East! and its human resources develop ideas to improve life for people all over the world. The Innocents Abroad, or The New Pilgrims’ Progress was published by American author Mark Twain in 1869. The travel literature chronicles Twain’s pleasure cruise on board the chartered vessel Quaker City (formerly USS Quaker City) through Europe and the Holy Land with a group of religious pilgrims in 1867. It was the best selling of Twain’s works during his lifetime. Chapters 45-56 of Innocents Abroad can be read onShechem.org. The destruction and desolation of the Holy Land was recorded by many European visitors in the 18th & 19th Century under the Ottoman Empire. Since 1882 when Jews started to return to their homeland, they have built countless settlements, developed modern science & agriculture and established the only vibrant Democracy in the ME. Visiting Israel today, seeing its modern cities, roads, science, education, health system, industry and agriculture makes you heart pound wildly at the accomplishments of the Jewish people returning from exile of 2000 years, rising from the ashes of Europe. I’m proud to be an Israeli. Love that video adam. You need to make it into a series of them… could you do that? …..
It’s the feeling I get when I walk the streets, shop at the markets, travel on a bus. It’s the bubbly energy in the air that uplifts me, despite Israel’s constant struggle with itself and the world. Interactions seem real and meaningful – no matter if it is a friendly or less then friendly exchange. And it’s all the pregnant mums, and the babies, and the mums and dads riding their bicycles and dinking their toddlers. It’s that sense of feeling alive and happy to be a Jew. When I was in politics I had to query the date of some road repairs. I was astonished to learn that the works list for pothole repairs in one ward of my small county would take 100yrs to complete. So you can imagine how, when I drive through Israel, I am constantly amazed that the Israelis have built an entire country, absorbed numerous and diverse people, benefited the world via technological, scientific, medical and agricultural developments and resurrected an ancient language – and much, much more – in less time than it takes a small section of an English county to repair its potholes. And all this has been acheived with one hand tied behind its back as it fights wars and terrorism. Amazing. A real lesson in positivity, determination and tenacity. Sorry to be the one to break up the party, but I don’t think 16 people are going to make this a trending term outside the confines of cifwatch’s offices. It is difficult to get a term to trend if it isn’t true or is trying to hide the truth, the twitter community is good like that. I love Israel because it makes people like you chew their arms off in pique. My wife is Jewis i am not.In the year of 1975,Ceausecu sold us for some dollars.For me vas a wonder.I was in the Israeli army voluntrily.I have nothing againts any religion,i woudn’t give this Country for a fortune under no reason.My children after the mother are Jewish.I am proud of this Country for the intelligente and courage to survive in front of hundreds of millions of enemies.AM ISRAEL HAI!!!!!!!!!!!! Tweeted why -I’m also writing a blog, which aims to castrate the moral equivalence article, which I think is getting cross-referenced here. I love Israel because it´s mere existence, stupendous success and amazing human rights record turn Judeophobic pricks such as debutante-dilletante totally apoplexic.